Joy Nelson joins the female Navy SEALS in a fit of depression over the death of her POW brother. 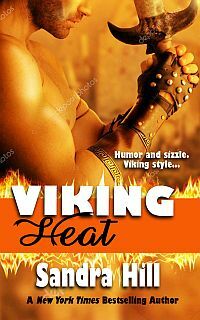 Then she finds herself shot back in time to the cold, cold Norselands where she is auctioned off as a slave to a Viking warlord. What fun! This Norseman doesn’t know what hit him. Originally published September 2009 in mass market paperback by Berkley Sensation.